This year's Blue Goose Golf Tournament is August 16 at the Tor Hill Golf Course in Regina! Register today and send your registration form to bluegooseregina@sasktel.net. We're still looking for some sponsorship help from all our Blue Goose friends out there. email bluegooseregina@sasktel.net for more info. Big THANK YOU to McKercher LLP for sponsoring the grub for this year's tournament! Supper is served courtesy of First General this year! Mmmmmmm... supper... Thanks FG! What's a game of golf without golf balls?! Thanks for making the game playable Winmar! 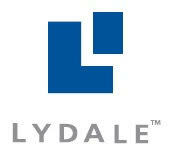 While you're cruising the greens in your golf cart at this year's tournament, that's all thanks to our friends at Lydale! Vroom, vroom! If any of our golfers happen to make the hole in one, it'll be worth $50,000 and courtesy of the fine folks at BARGA! Thank you to all our Blue Goose friends sponsoring a hole on the course this year!